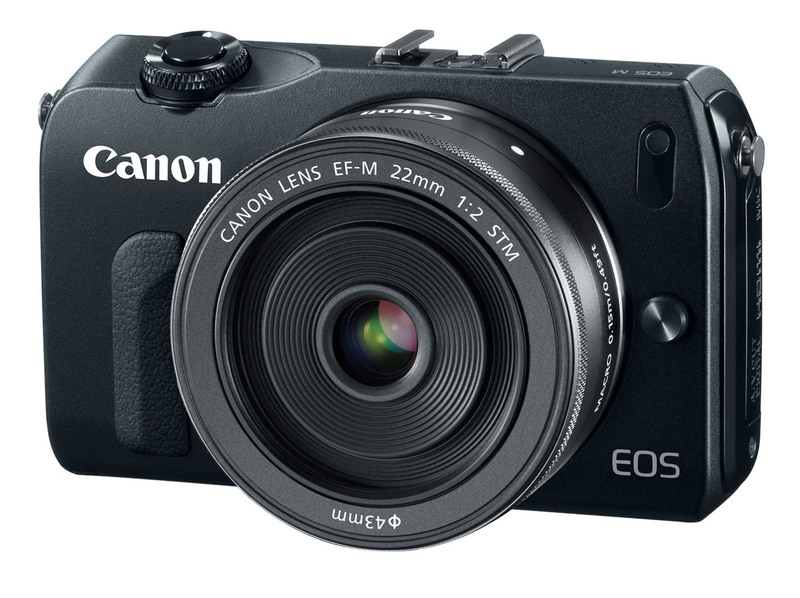 Is the Canon EOS M for You? At last the other shoe has dropped and now Canon has their entry into the mirrorless camera derby. And it's a good one. The Canon EOS M is a sophisticated CSC aimed at transition photographers and movie makers. Where other manufacturers included HD movie capture on their still cameras, Canon emphasized it. With its 18.0-megapixel APS-C CMOS sensor and full HD movie mode with movie servo AF for continuous focus tracking of moving subjects, the EOS M is targeted directly at those for whom video is a priority. It even has an external mic jack. In October, the body with kit EF-M 22mm f/2 STM lens will be available for $799. Canon will also have a EF-M 18-55mm f/3.5-5.6 IS STM lens for $299 and an adapter for EF-S and EF lenses. For photographers already in the Canon DSLR camp, the adapter is a no-brainer. Will I place my order for the new EOS M? Probably not. I'm going to wait and see what's released up the road. For the time being, the Olympus OM-D E-M5 is a better fit for me. I shoot stills first and video second. And the OM-D is a fantastic still photography camera. But don't underestimate what Canon has done here. They have studied the market and targeted a solid camera right at the generation ready to move from point and shoot to something more sophisticated. It's going to be fun to watch how this plays out. Yes. I have a Rebel XSi, which works great, but I've been looking for something more. I've almost bought a 60D or a 7D a few times, but don't want the bulk/weight. On my last vacation even the Rebel was more than I wanted to tote at times. I've also been intrigued by micro 4/3rds, but don't want to have to invest in another lens system. And I don't currently have a something like an S100 or Panasonic LX series. This fits nicely above my iPhone 4S and my Panasonic waterproof p&s. Hi Craig, I think you've just described one of the perfect scenarios for the EOS M. And I think there are a lot of folks thinking the same thing. I'm hanging onto my E-M5 as well. It's a great camera and I've got a pile of lenses. This looks like a downgrade from my NEX-5n for a couple hundred bucks more. No thanks. Thanks, Derrick, I would also get a 2nd body without much more weight for situations that warrant it. And I'd get video that I don't currently have. I can easily imagine scenarios using this with one lens for video and the Rebel with another for stills. I also think this and the prime kit lens would be terrific for walking around. I'm not afraid to stitch to obtain wide-angle views. How do you think this would be paired with a 320EX flash? I've had flash bigger than camera before--I used to put a Vivitar 285 on top of my trusty Pentax MX (does that make me an old fogey?). Unfortunately, I'm afraid that once again Canon waits to let Olympus (again) and Panasonic pay the price of innovate and then use it's market force to grab the market. Why this worries me: Because innovation and diversity belongs together, but for me it's something that Canon doesn't represent. To me Canon are the Microsofts of photography. Hopefully I'm wrong this time, but I really hope that Canon won't be dominating the CSC like they dominate the DSLR segment. I love the idea of this but, yet again, the price in the UK is the same figure as for you in the States - but in British pounds. It's just too expensive. The same is true for the Olympus E-M5. That camera costs Â£1000-00 for the body (about $1500-00). But that's another topic. Great looking camera and a good sized sensor but not sure if I want to use my much larger EF lenses on this tiny body. Kinda defeats the point? Wouldn't the difference in weight and heft make it uncomfortable to use the bigger EF and EF-s lenses with such a small camera. It just has to do with how the currency is doing against the Japanese currency (Yen I think it is). I'm sorry but I don't care for a camera that I have to use outstretched arms to take a picture with. There is no view finder. And without a view finder, whether optical or electronic, how well will you be able to use the LCD in bright sunlight? I think this is a quickly put together piece of plastic to try and grab a couple bucks in the mirror-less camera market. I listened to the podcast this morning, and I wanted to add some comments. I normally use a Nikon D7000 with a 70-300mm lens, so a small body has little appeal. In fact, my camera seems too small w/o its battery grip. I like the idea of a small camera with an APS-C sensor, but the lack of a viewfinder is a show stopper. I don't like to use LiveView w/o a tripod. If the EOS M had a viewfinder, I would consider using it as a portable, always-handy camera.